The new content management system has allowed us to do our work faster. Editors can now focus on writing and enriching stories, rather than spending time fighting with an inefficient system. From guiding us through the requirements phase and developing the system, to helping manage the initiative, DPCI has been a great partner for us. The new content management system implementation was a huge project that has been a major success. I now have the peace of mind, knowing that our infrastructure is stable and scalable. 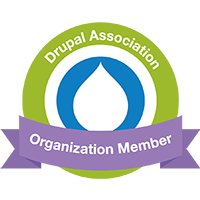 DPCI helped us get up and running with our donation processing system, built on Drupal. They set us up with a sound framework and process that has served us well to this day. They have been a key partner in our success. DPCI was an essential partner in the successful completion of our enterprise content management project which provides PCH with a much more efficient creative operating environment, one that enables efficient use of product related creative assets across all channels and optimizes the staff resources involved in the process. The benefits of the final implementation will be important to the successful growth of our online marketing efforts that promote merchandise sales. With the assistance of DPCI in the implementation of the K4 Publishing System version 6, we were able to reduce production time and take a book that was going to be late to press and actually turn it around on time. DPCI has been a great partner for VHL to help us transform the way we bring our books to market. DPCI’s subject matter expertise helped us to design a scalable publishing solution to meet our ever-changing direct marketing and customer communication needs. With XMPie’s variable data print capabilities integrated with DPCI's Digital Flywheel, we are not only saving money in the print fulfillment of high-volume, customized print materials but our marketing representatives now have the self-service tools to create these mass orders quickly. Working with DPCI has enabled us to utilize cutting edge technology without complexity and empowers the entire team at the Department of Pathology with new tools to deliver insightful research, patient information, and educational programs. The new site rocks. As a newly hired IT head at the Daily Racing Form, I was presented with an outdated set of publishing systems and processes. The digital face of the company, www.drf.com, was affected the most by this deficiency. With the decline in print business the web site needed modern tools to provide fresh and timely content to its customers. Several vendors were brought on board to help us build the new web and print CMS, integrate them and provide capabilities to explore DRF's content breath and depth. All vendors had a challenge of transforming the business in a very short timeframe and a limited budget and DPCI was the only one to make the cut. Following DPCI's proven methodology of careful requirements gathering, process and resource evaluation, and analysis, DPCI helped us transform the publishing infrastructure. This provided DRF with a lean and efficient print operation while allowing the company to quickly push relevant content to the web site and allow for addition of various e-commerce elements that promote impulse buying. Our SEO capabilities have also improved immensely. As the project moved forward, the business endeavoured to redesign the site in the same timeframe with a new Web content management system deployment. This addition would ordinarily derail any project, yet DPCI helped us face the challenge and deliver both initiatives. As a direct result of the new capabilities the company saw the highest unique visitor counts in its 116 years. Thank you DPCI for all your help. Your knowledge and skills are exceptional, and we would recommend DPCI's services to anyone. It's been a real pleasure working with you, and we look forward to the next opportunity to work with DPCI again. I’ve turned to DPCI many times for help with complex digital publishing projects. Their team always makes me feel like I’m working with a partner — not a vendor. Because of their broad and deep experience in the media industry, they innately understand how to reduce the amount of time and effort required to publish content in today’s socially-connected world by improving both process and technology. When a web development project that had languished for more than two years was turned over to me for completion, I knew that I had to turn to a trusted partner. DPCI's professional and patient staff moved the project to completion in two months. I am now working on the specifications for the next version of the website, and I will trust its execution to DPCI. They have a proven track record of turning my ideas into reality, and suggesting a few of their own. I have worked with DPCI for more than ten, very successful, years. Working with DPCI on such a tight timeline to launch a site of this complexity has been remarkable. From the moment we began working with them, their attention to our specific needs and acumen for cutting edge technology has far exceeded our expectations. DPCI managed to assemble a complex site in record time. Despite the project's compressed timeframe, the quality of their work was exceptional. Best of all, they made our front-end design look terrific. I look forward to collaborating with them again.